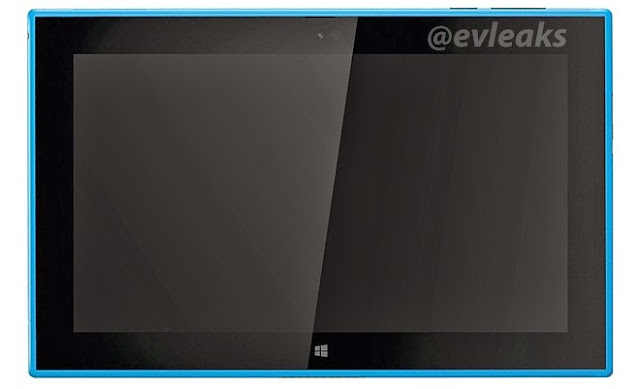 The upcoming Nokia Lumia 2520 Windows RT tablet made yet another unscheduled appearance, thanks to @evleaks. After allowing us to potentially catch a glimpse of its kickstand three days ago, the slate leaked out in a press image, dressed in a cyan outfit. 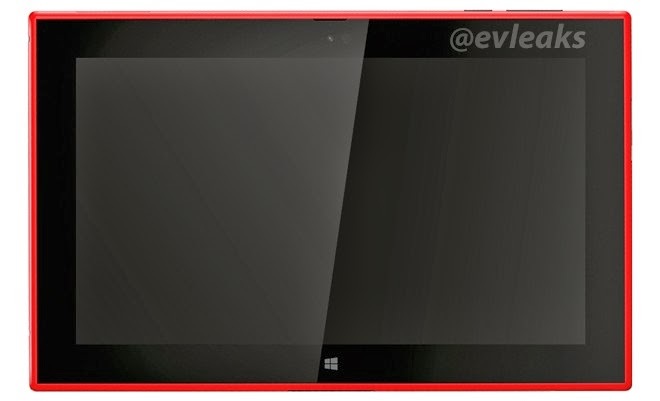 Update: @evleaks posted another press image of the upcoming tablet, this time dressed in a red outfit. See it below. The tablet in the leaked images sports a design which is in line with the looks of Nokia Lumia range of smartphones. Its rumored specs include Qualcomm Snapdragon 800 SoC, 10.1” 1080p display, and LTE support. Nokia Lumia 2520 is all but certain to be unveiled at the Nokia World event in Abu Dhabi on October 22. The tablet is rumored to be available in four colors – black, white, red, and the cyan from the image above.